How do all those celebrities keep their figure in check? This Full Body Slimmer is one of the ways they keep looking fabulous on the red carpet! The shaper reduces your figure and keeps a firm body at all times. It helps to control the tummy, back and thighs all in one. The special material is soft to the skin allowing breathability for freshness and comfortability! 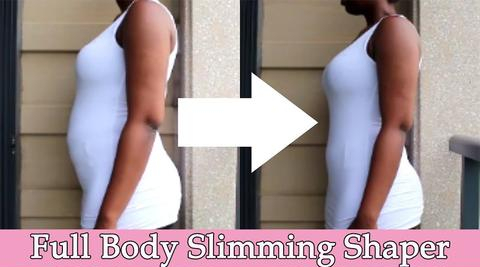 It's designed to be used after pregnancy, for the process of losing weight, and to have a perfect figure at any moment. Patented Smoothing Action: We are proud to say that the smoothing technology is one of the best and works wonders! 360º Shaping: Every part of your body that is touched by the Full Body Shaper will be shaped using our shaping technology. Posture Perfecting: The top will help you keep great posture when out and about. 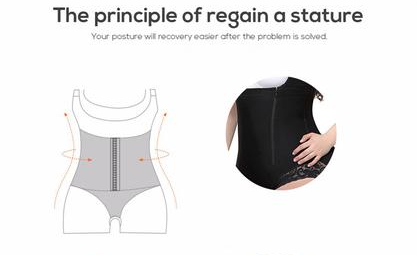 We know how hard it is now for days to keep good posture, so let the top do the work for you! Breathable Polyester Blend: Too many shaping tops and garments end up leaving you feeling trapped and stuffy at all times but the Full Body Shaper is designed to give you a breathable experience when wearing the top. According to ergonomic principles Easily solve the problem of large pelvic bones. Help pelvic bone correction to 90' before pregnancy.